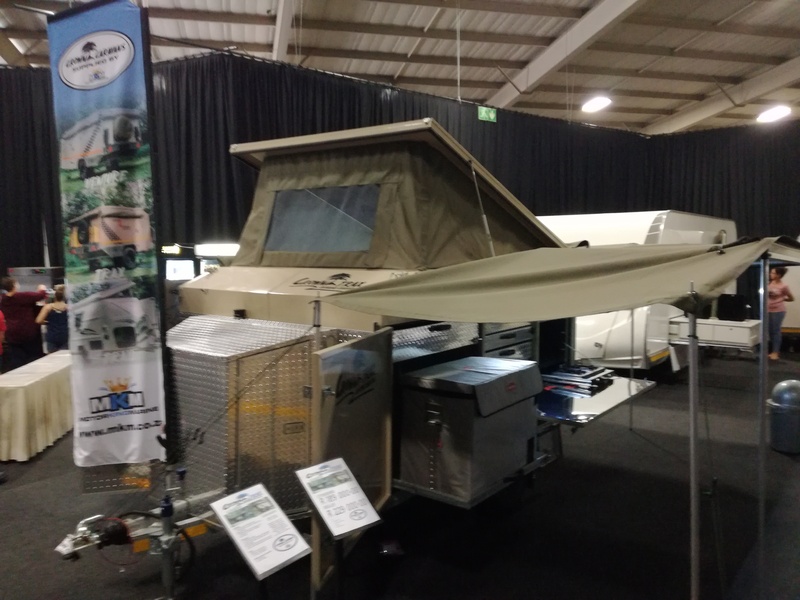 Causing a splash in the market with three new products is Crown Caravans, a division of Motor King & Marine, a family business that has been trading in boats and outboard motors from over 44 years. 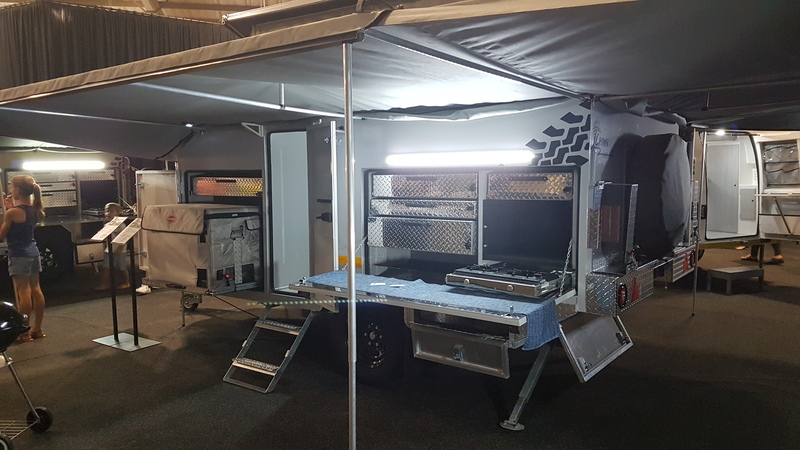 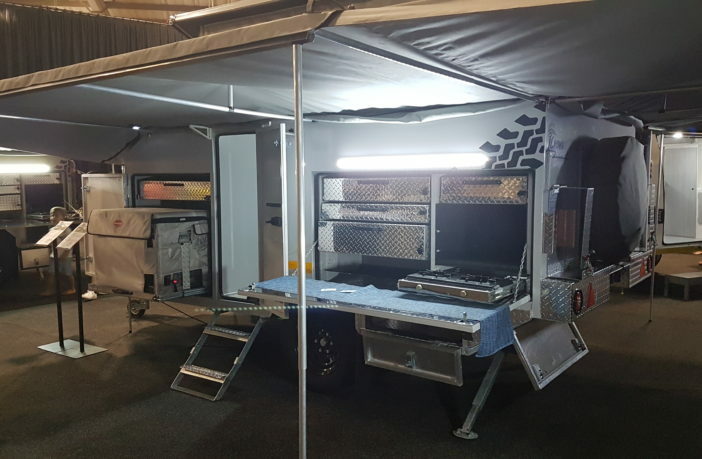 Expanding their outdoor lifestyle offering, MKM created Crown Caravans and a range starting with two off-road trailers, and one on-road fibreglass caravan. 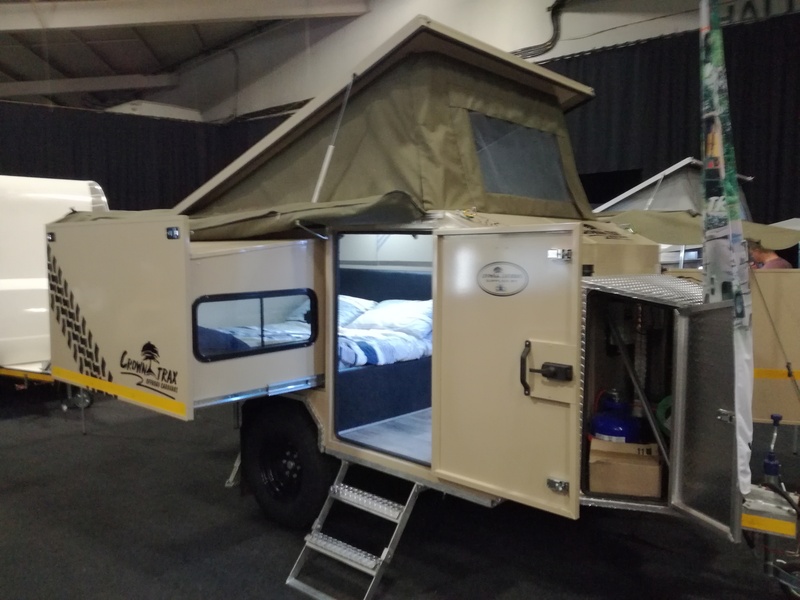 The off-road trailers are the two-berth Crown Trax and four-berth Crown Venture. 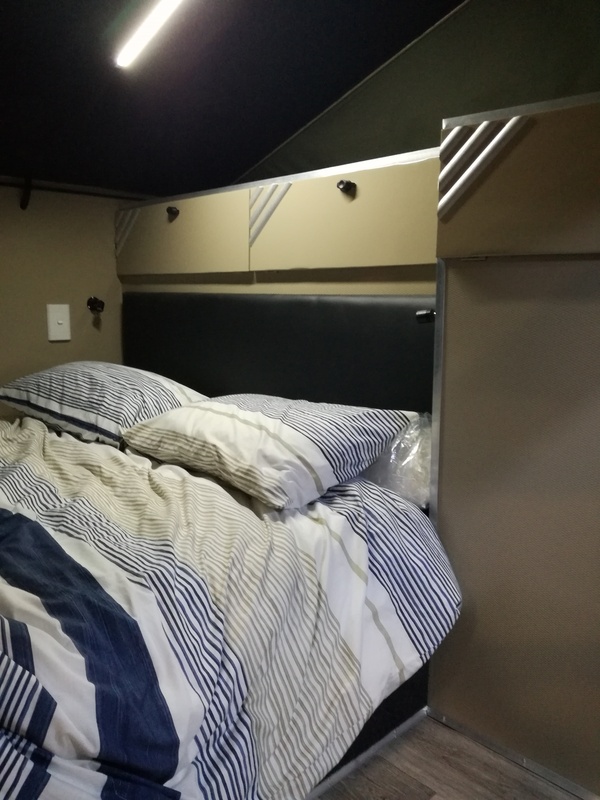 Both trailers have slide-out bedrooms and full outside kitchens. 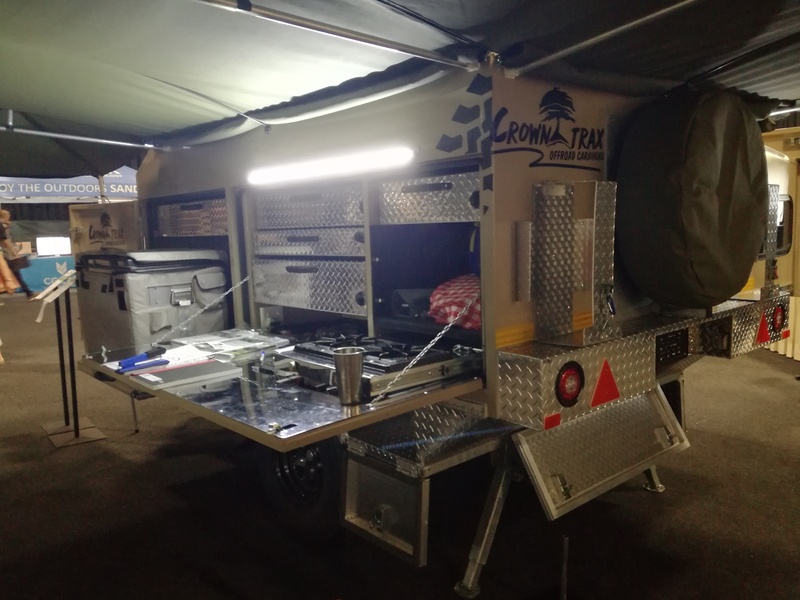 The Crown Trax and Venture both have outside kitchens with a slide-out fridge/freezer and a fold-down hatch that creates a work surface, behind which are drawers for packing, as well as a slide-out two-burner gas stove unit. 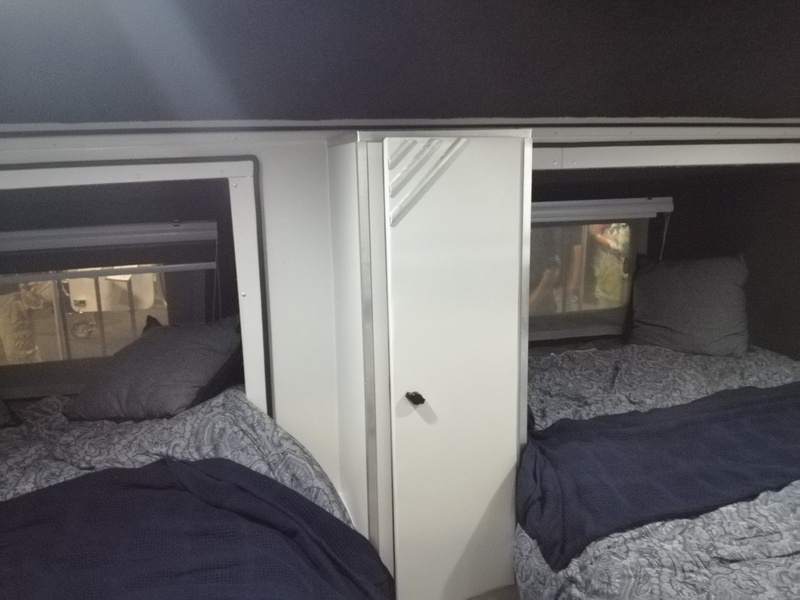 For sleeping space, the Trax has one double bed on a slide-out rail, while the Ventyre has two double beds on slide-outs. 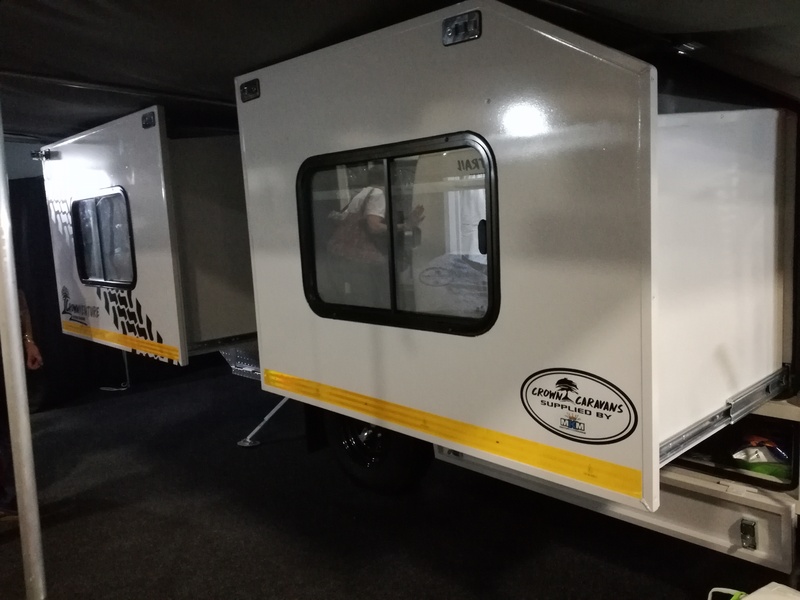 Both the Venture and Trax come with three tents awnings and side panels that reach around the sides and back of the units. 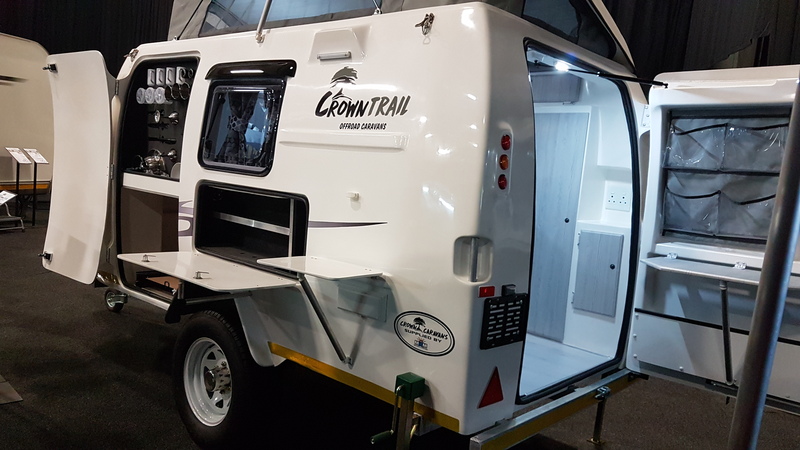 The Crown Trail is a two-sleeper fully fibreglass caravan. 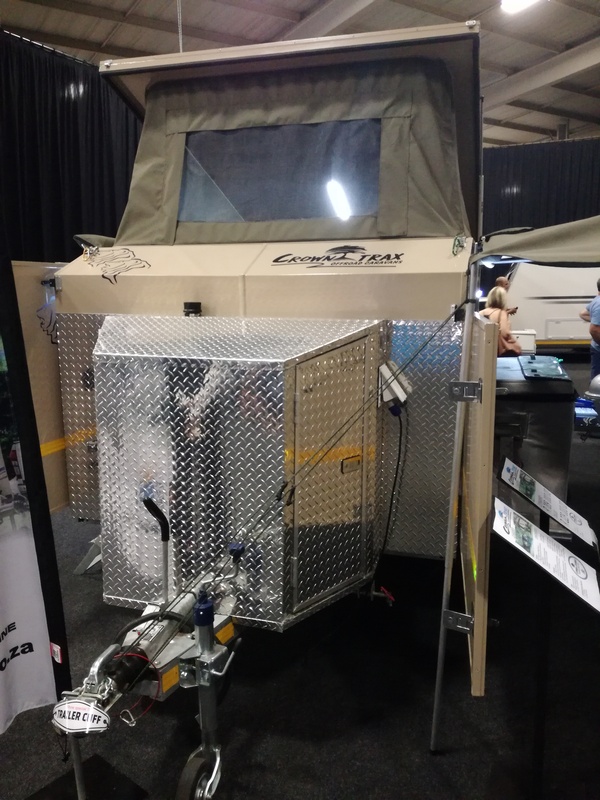 The entrance to the Trail is from the back, and inside you’ll find storage space and porta potti hatch on your left and right, with a big bed taking up the entire front area of the caravan. 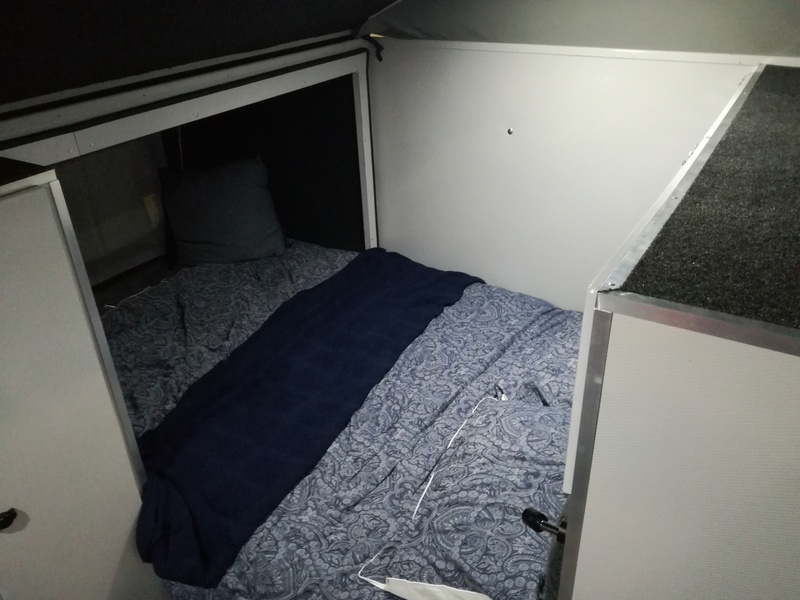 Outside on the passenger side of the caravan are two hatches, one has dedicated storage space for crockery and cutlery, with a slide-out for the fridge/freezer at the bottom. 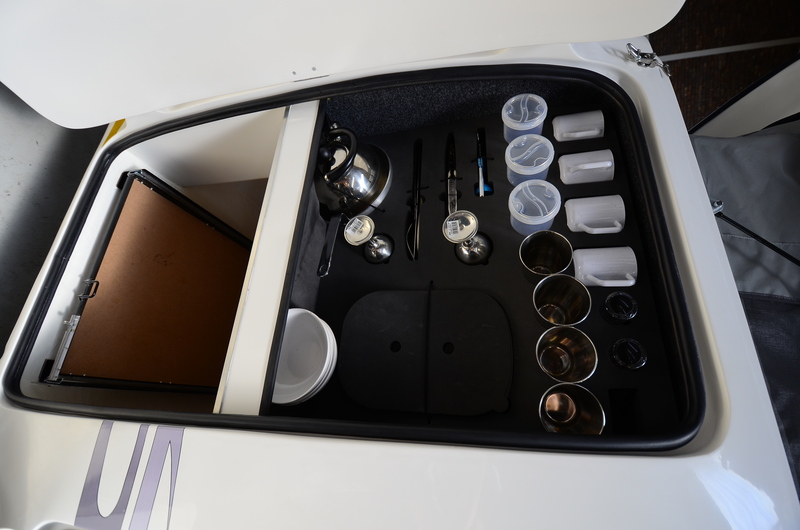 To the back is another that folds down to create a work surface, and behind which is storage space.